Rod Murchison, vice president product management at Tripwire, Inc., is a pioneer in the field of data security, cyber analytics, networking, and identity and fraud protection, and has more than 20 years of experience in product development and go-to-market strategies for innovative IT security and networking solutions. 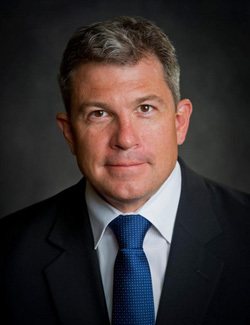 Before joining Tripwire, Murchison was the senior vice president of engineering and product management for Narus, a wholly-owned subsidiary for The Boeing Company. At Narus, Murchison drove solutions worldwide geared towards a unified approach to real-time, streaming, and deep analytic applications for network-oriented big data. Prior to Narus, Murchison held executive positions in engineering, marketing, and product management for companies such as Code Green Networks, Juniper Networks, NetScreen Technologies, and Blue Coat Systems. He is an inventor on several US and foreign patents regarding network security, authentication, and authorization, and broadband multimedia services. He serves on the Penn State IST Advisory Board as well as the advisory board for Balance Street, Inc., an automated online debt settlement service. Murhcison is a 1991 graduate of the College of Engineering at Penn State.